Are there special things I should know about when passing the Sacrament? I just passed the sacrament for the first time and it was wonderful. My question is about manners. I know the basics such as using my right hand and holding it in the square, waiting for the presiding officer, reverent positions and such. Are there any others I should be aware of? First of all, thank you for living worthy to hold the priesthood that allows you to pass the sacrament, and to truly take this assignment/duty seriously. What you ask about manners is an excellent question, and I will do my best to explain my thoughts on this matter in relation to your question. This quote is something you can think about yourself and make a decision for yourself. 2) What is the proper way of passing the sacrament. Using our right hand is symbolic of our covenant hand; however, there is nothing specified in the Church’s Handbook of Instruction that you have to use your right hand to pass the sacrament, nor is there anything specified that you have to hold the tray in the square. This appears to be a personal teaching from someone who loves you and is trying to do their best to teach you proper manners. That is good. Our right hand is symbolic of those who will be with the Father (Sheep are on the right hand of the Lord). Our Savior sits at the right hand of his Father. If you are willing to read a wonderful talk from Russell M. Nelson who talked about symbols and using our right hand. I, like Russell M. Nelson, will use my right hand because I have a right hand and I understand the symbolic meaning of our right hand to God. Something my bishop told me when I was young has stuck with me, and I apply it today. I loved basketball, and my bishop was a basketball player himself. He mentioned how there are some members who are very anxious and nervous and have a hard time with young men looking at them while they pass the sacrament. Sometimes they will spill water, and are so distraught when they know someone saw they have a hard time thinking upon Christ after that. This may seem silly, but to some of our members this is very real. He then provided this counsel that I have followed since I was a deacon. This is what he shared, “In basketball we are taught to use our peripheral vision. We can see more of the court this way. 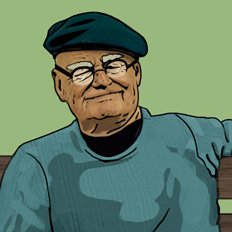 As the sacrament is a sacred ordinance, and we want to help all of our members enjoy this sacred ordinance. 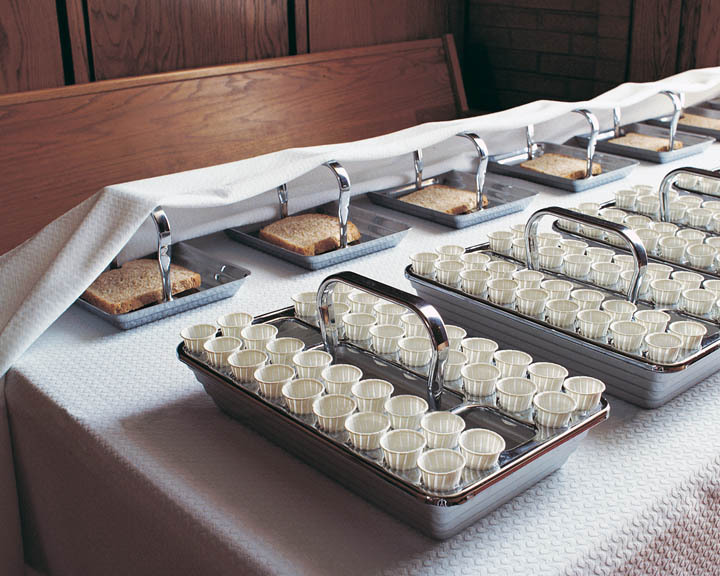 When passing the sacrament, please do not look toward the row, look toward the front of the chapel, and use your peripheral vision to see when the tray is coming your direction. This way, if one of these members do spill water and get nervous they will be more at ease because you aren’t looking directly down their row as the tray is coming to you.” This is advice given from my bishop when I was a deacon. I felt at that time it made sense, and I have applied it ever since. I think this is good manners when passing the sacrament. I would suggest that you take time speaking with your parents, your young men leaders, and your bishop and listen to what they offer, and act upon that which is good. It appears you have a good beginning, the Lord bless you for your desire to pass his sacred emblems in a pleasing manner before him. Is it a requirement to take the Sacrament with the right hand? 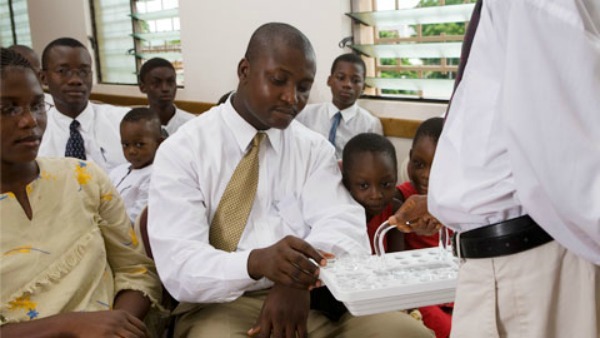 The Sacrament and the Spirit of the Lord Serving the Sacrament During Sunday School? 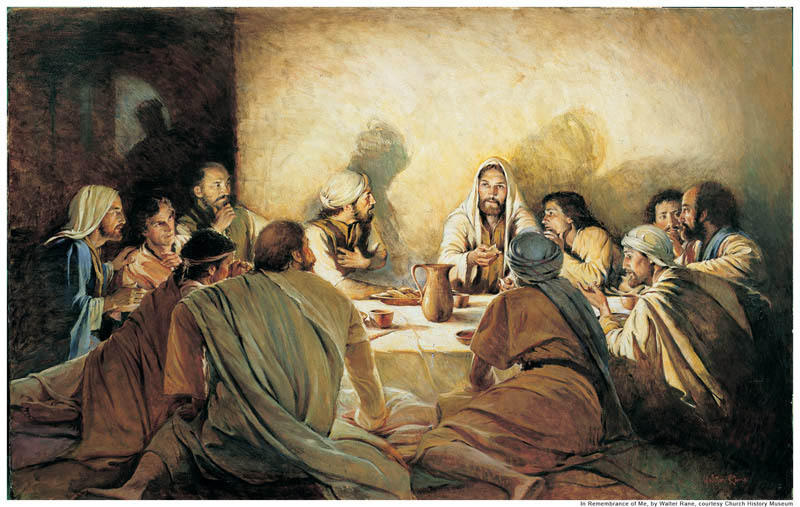 Can we have the Sacrament as we meet as a family group to discuss scriptures? Can we have the Sacrament as we meet as a family group to discuss scriptures?